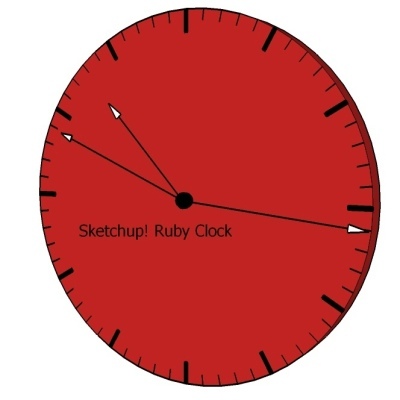 This Animated Clock displays a large analog clock in your session. It keeps accurate time too. The Clock shows up in the Camera>Clock menu. Note! This script should be run in a clean SketchUpTM session, as the first thing it does is erases all entities. This script is for demonstration purposes only (aside from the fact that it is pretty cool and will impress your neighbor).